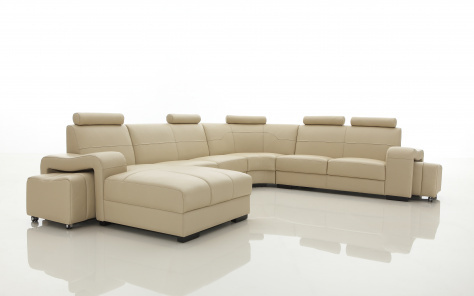 Denelli offers high-end luxurious sofa sets along with cheap corner sofas on sale that one can fit various budgets. Not every kind of furniture can be used to fit in the nooks and crannies of the house; placing a comfy corner sofa not only fills up the vacant space but also lends a complete feeling. You do not have to wait for a sale to browse and buy from our extensive and beautiful range of corner chaise sofas in the UK. What makes our comfy corner sofas special? If you are short of space, you can opt for our new range of comfy corner sofas which can accommodate a large family. Upholstered in quality leather and fabric, we ensure the essential elements of comfort by including soft cushions and added padding to our cushions and bolsters. Though our sofas are available in multiple designs, the luxury Italian styled sofas enjoy more popularity among our customers. 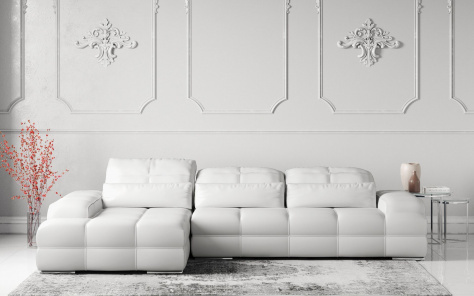 Designed with looks that can kill, our sofa range continues to be exclusive and unparalleled in fashion and luxury. With most contemporary designs currently in the trend, you will have a lot to choose from. It’s okay if you have already allocated your budget to something more important or saving your money for some special day. You can always buy our modern corner sofas sets by paying the price in equal monthly instalments. 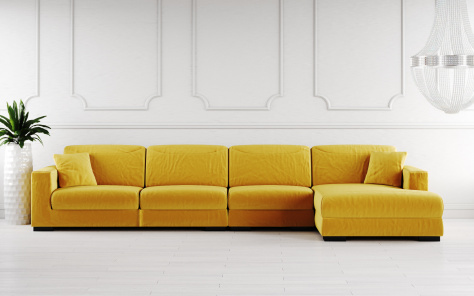 Cheap corner sofas are also on sale, which means that you don’t have to worry about exceeding your budget. Browsing through our website will open you to a new world of the best available furniture available in various designs, colours and materials. Be it furnishing your new place or refurbishing an old existing home, and you will find our Italian furniture pieces blend with your style and space around. 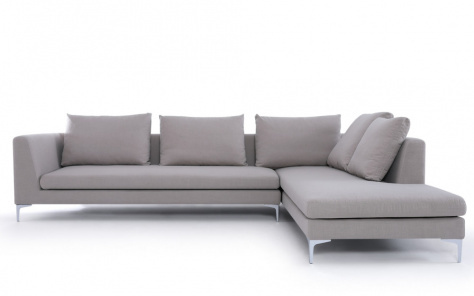 Denelli's extensive range of corner sofa designs offers exceptional design with modern luxury at it's heart. 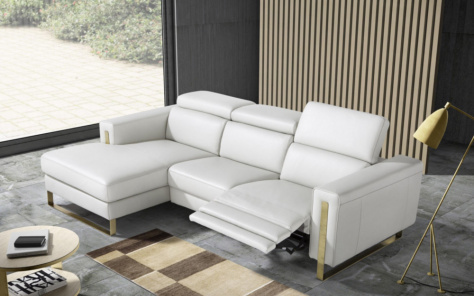 Our luxurious and supremely comfortable corner sofas combine quality craftsmanship with trendy touches such as adjustable ratchet headrests which can be adjusted for that perfect seating position. Our unparalled designs provide the perfect centrepeice and focal point to any living room. Our designer corner sofa collection consists of a large spectrum of styles and colours to suit every decor, taste and living space. 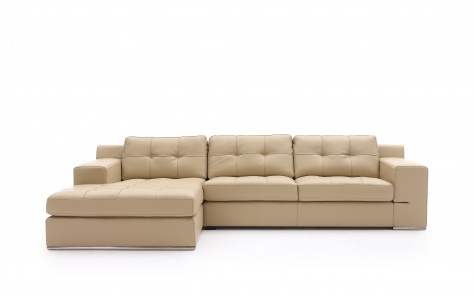 We have a large range of upholstery options including leather corner sofas and fabric corner sofas. All of our range is well made, easy to maintain and built to last. With sustainable hardwood frames, soft leathers and luxurious high quality fabrics we've got something for everyone.